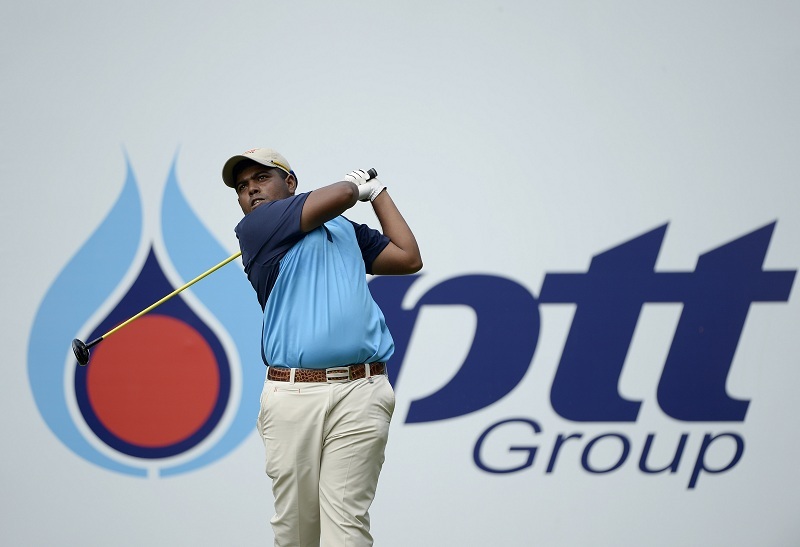 Chiangmai, Thailand, November 16: Read what players have to say following the final round of the US$750,000 Chiangmai Golf Classic presented by PTT on Sunday. This win is really special because it is my second win this year and first outside of India. It was a really good week. We were going head-to-head and we treated it like match-play tournament. It was very exciting. He had a two-shot lead and he was three-shot ahead after a birdie on the first hole. I recovered very nicely on the back nine. I played good golf on the back nine. I was confident with my game and I played very well on the back for three days. So heading on the last few holes, I was very confident I could win the tournament. The turning point was on the 15>th hole. I found the bunker there. I had a shot but it was a tight line. I hit it to about 15-feet and holed that putt. It was very important because I only had a one-shot lead going into the 18th hole. That par gave me a bit of boost because I needed to maintain my one-shot lead. The last three holes were very exciting! I was looking at the leaderboard and everyone was making a move. But I was focussed on my game. I’m learning every single day. 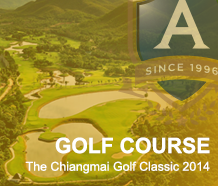 I’m playing on different courses on the Asian Tour. I played on this golf course last year and missed the cut by one shot. 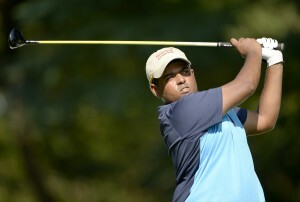 I played more golf courses for the first time on the Asian Tour and I learnt a lot from there. That experience really helped. Working with my mental coach has really helped. You can see the result from this week. She is a really good mental coach and I’m excited to work with her. She was asking me about my tournament and I told her that I had a chance to win. She just told me to stay patient and now I’m the winner. I was struggling with my swing but I got it together. I’m happy with the way I finished. I’m playing well and hopefully I can do something heading into the next few weeks. My game gets a little patchy. I played under pressure these last two days and I managed to get my swing right so I know what exactly to do. That gives me the confidence for the next few weeks. I’m working on the game. These young guys look up to me and try to beat me but now I have to keep up with them! I’m looking forward to it and I’m glad that I’m there and a threat to them. I didn’t play as good as I did for the past few rounds today. I three-putted on the 16th and it came at the wrong time. My putting was not good. I have been putting it short every time but overall, I am very happy with my result because it’s only my fifth tournament on the Asian Tour this season. I am very proud with my performance. I was a bit nervous after the turn but a birdie on 13 made me feel relaxed. I fought hard out there but Rashid deserves this win. I am also glad to save my card for next season. Yeah I’m happy with the way I’ve been playing. I shot three-under today and I didn’t get the job done. I had a bad start and birdied the eighth hole which was a bit too late. I had a chance to put pressure on the leaders on the 14th hole. I nearly birdied 15, 17 and 18 but it didn’t happen. I’m happy with my top-five. 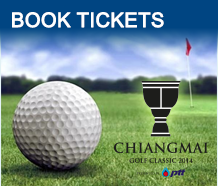 I’m striking the ball better now and I’m feeling very confident that I can get my first win for 2014. I played good golf in the last two weeks. My putting has really pulled my game up. I finished in the top-five this week and that’s one of my goals this week. I’ve saved my Asian Tour card now and I don’t have to worry anymore! A win is very close for me now because I’m playing so well. I was so worried about saving my Asian Tour card (before Panasonic Open India). I played good golf this year but I was so unlucky. I’m so happy that these last two weeks gave me a good pump on the Order of Merit. Now I will charge on and try to win. I played very well today. I hit it really long and overall, I’m pretty happy with today’s round. Yesterday’s round was a bit of a setback for me but I’m happy to recover with a good round. The course was great out there. I was trying to adjust to the changes in green speed a little bit after the rain but it was all good. It has been a great experience playing in here this week. I didn’t expect to finish so early on a Sunday but it has been a good first trip to Thailand. This is a great event and I hope we can secure it for a long time. 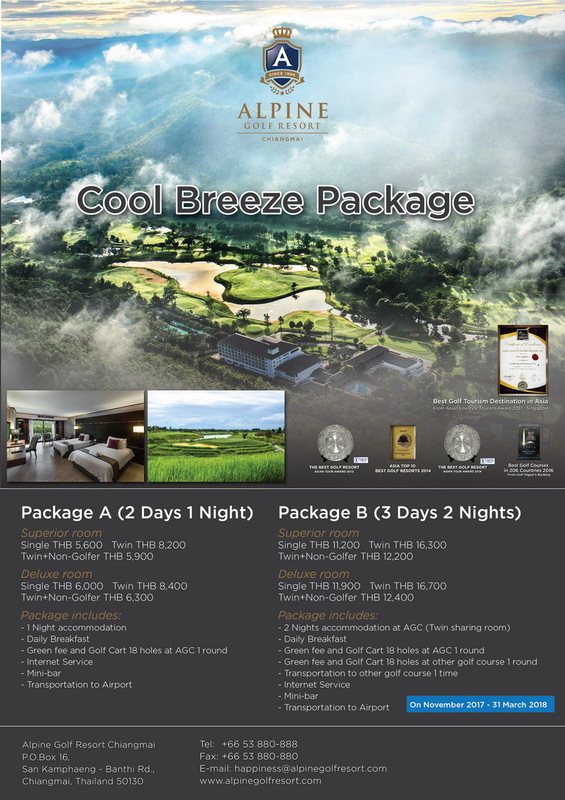 It’s great for the game of golf and it does well to the game of golf in Thailand. I would definitely love to come back again. I figured out something that clicked in my swing after the first round and I’ve been riding on it since. This is my best finish so far this season and I’m happy with how I played this week. I played really solid. I hope better results will come in the remaining of the season. I haven’t felt so comfortable on the golf course for a while now. I hope I can keep up this good form in the next few events. I think I understand more about my swing on the course now and that gave me a lot of confidence. I sank a 30-footer for eagle on the 10th which was obviously the highlight for me today. I didn’t expect the ball to go in. My right arm still gets a little worn out after every round but I try to get enough rest. It’s on and off but it seems stronger for the last two weeks which is good news for me. I hope I can continue to play well and hopefully finish top-60 to secure my card for the next season. It has been a good week for me. It was really stressful out there, especially on my back nine coming in today. Overall, I hit it really well this week so I’m happy with how I finish. I didn’t start off well this week. I think I threw away like eight shots in the first round but I managed to play better after that so I’m pleased with how I played this week. This is a golf course that suits my game. It’s a long course and the greens are pretty soft out there. Playing on the ADT helps in my game. I gained a lot of experience playing on the ADT and I guess that helped me this week. I’m happy to shoot my best round this week. I finally got my putter to work. It has been a slow start for me but I’m happy to get it together and finish well. I’m really looking forward to playing back home next week. My game is getting better, slowly. I haven’t really got my game together in the last three tournaments but it seems better now after I got back to my coach last week. We worked on my mental game and I feel it’s stronger now. I just have to tell myself to focus on my game and not give myself too much expectation. Looking forward to play back home next week.